Jim the contractor. 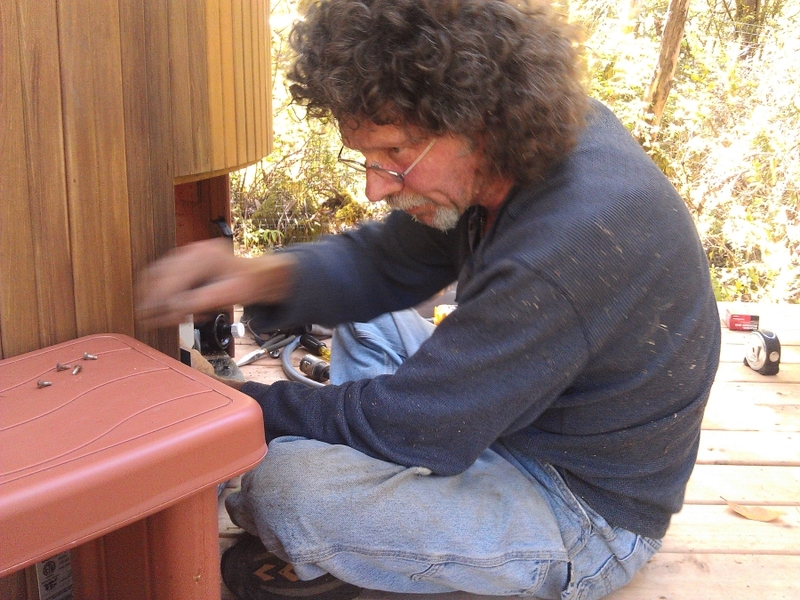 Jeff the plumber. Gary the duct guy. Steve the framer. Kyle and D*Lee the jacks of all trade helpers. John the roofer. And here, John the electrician. If the bnb were a TV show, this cast of characters would be the stars. Co-starring Bert the banker, Kurt the real estate agent, Jim and Barney the hardware store guys, Kevin, Stretch and Danny the Home Depot guys, Mike the king of Hiouchi and the men of Hambro who moved the hot tub like it was a stack of cheap books. Yes, it would be a comedy. Catching Up Series: Curt’s Bucket list. Check that!